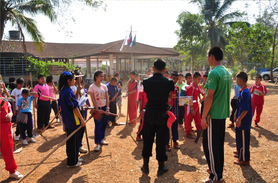 OISCA Lamphun Center is located near Doi Krua Mountain. 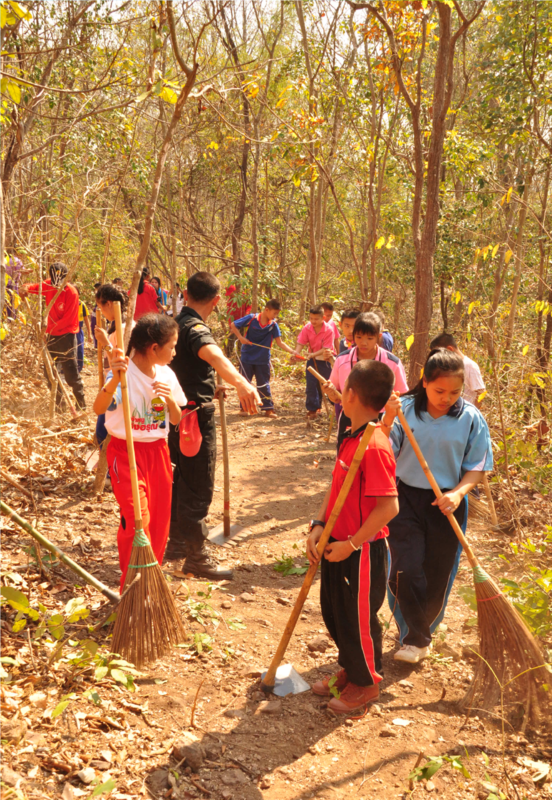 The children who live around the mountain have good knowledge about their environment and nature. 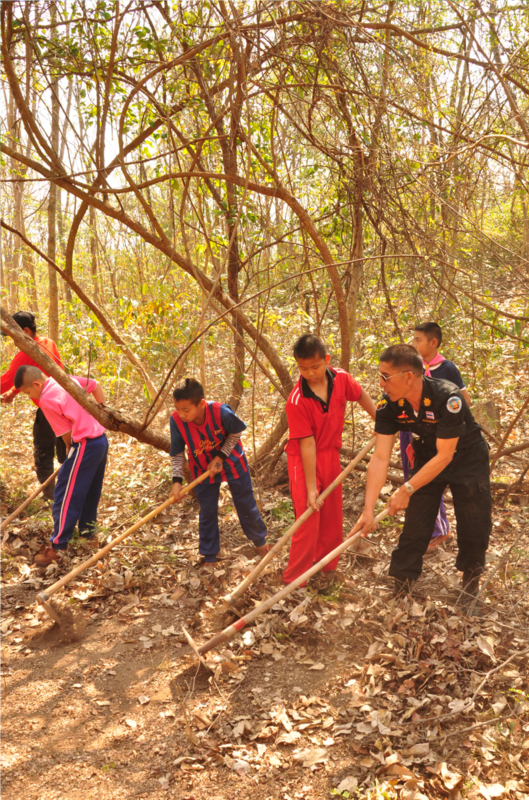 They are able to cook the ingredient harvested from the mountain, such as mushrooms, bamboo shoots, edible fruits and leaves, and animal meat. 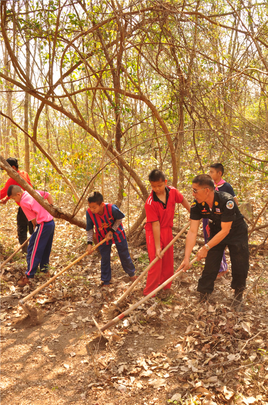 The children are not only trained on recognizing and protecting the benefits of the forest but they also are trained on wildfire prevention every year. 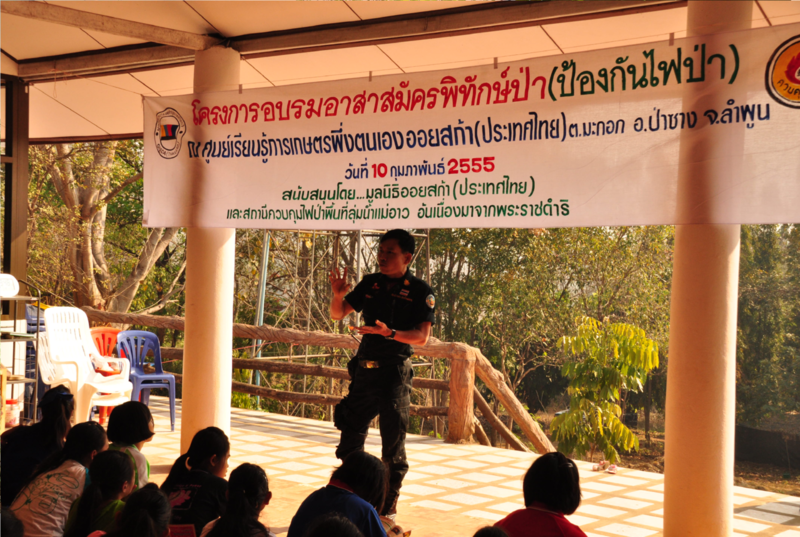 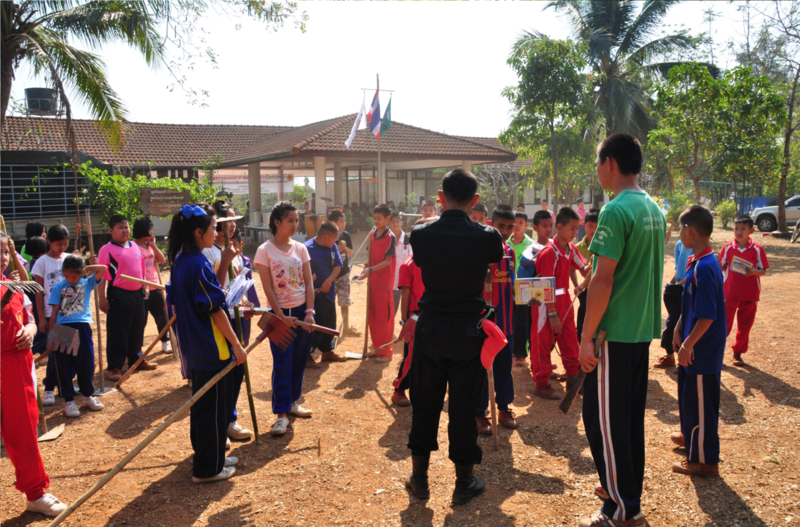 In 2011, Mae Ao Wildfire Prevention Office instructors were invited to OISCA Lamphun Center to teach the children the dangers and consequences of wildfires and how to protect the forest from them. Hands-on activities included making fire breaks in the mountains. This event was an important first step for children and adults to really understand how to protect their homeland in the future.